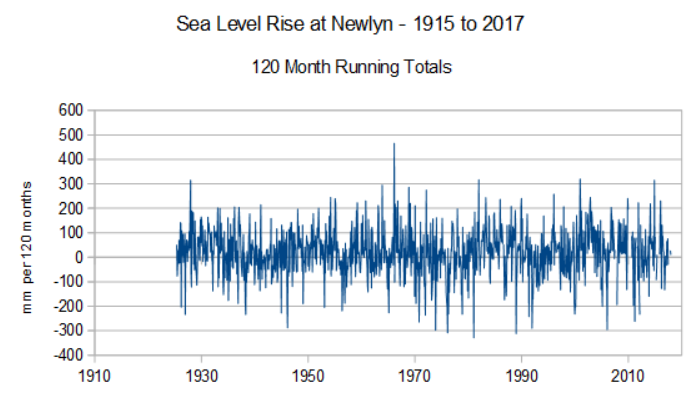 Data for North Shields and Newlyn shows the same cyclical pattern that we see globally – sea levels were rising just as fast as now during most of the 20thC up to around 1970, before a slowdown in the 1970s and 80s. 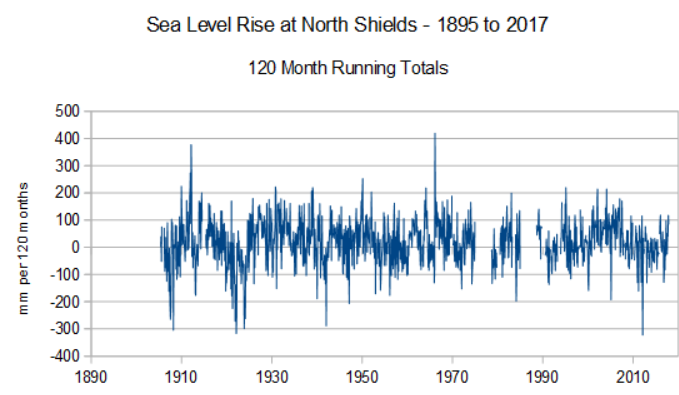 There is no evidence at all at either North Shields or Newlyn that current sea level rise is in any way unprecedented. What a relief that our sea level rise will be minimal! Perhaps we could prepare to accept an influx of climate refugees from our cousins across the pond. 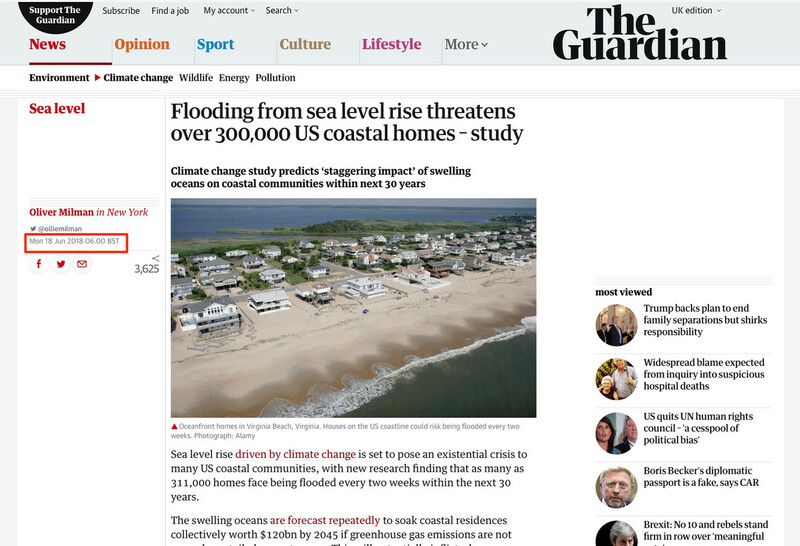 Only 2 days ago the Graun predicted impending devastation …. Details like this are needed to argue against those ‘global’ maps that link tide gauge and satellite altimetry to claim a recent acceleration. Cannot have it globally if it is not there locally. Indeed, Geoff. As with so much else in the world outside Catastropolis, nothing to see here; move along. I thought the Greens wanted the sealevel to rise so they can have more tidal power! Are the climate data torturers running out of ideas? They (environment agency) seem to be using 6.4mm/yr in order to cost/benefit/justify this waste! Newlyn is the origin benchmark for all of the UK’s geodetic levelling, so there is a lot known about it and very careful observations for over 100 years. 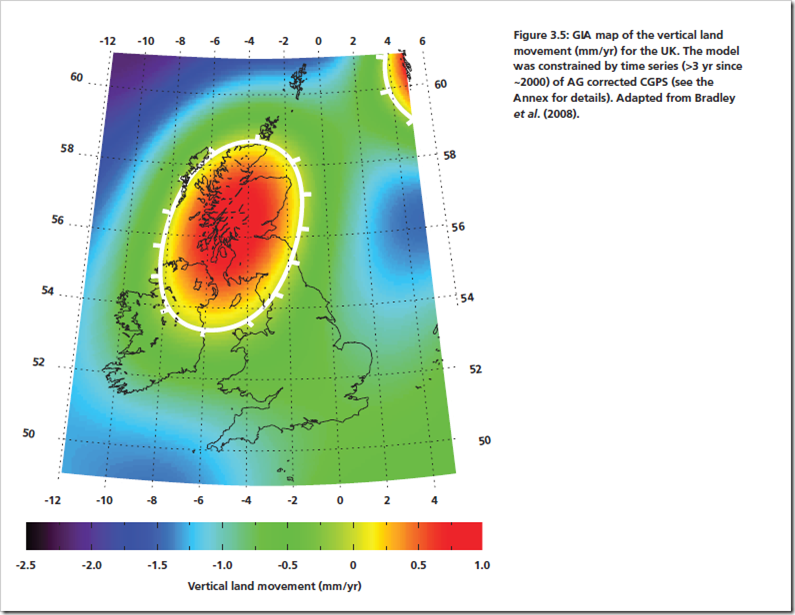 More recently, GPS observations show that Newlyn is sinking at 0.7+/-0.2 mm per year. This needs to be subtracted from the linear trend of 1.8mm per year, to give an actual sea level rise of 1.1mm/yr. Frightening stuff!